A good deal has happened and I’ll let you get caught up as I also catch up. A 22.7 mile ride on Aug 29. It was the first ride in the aftermath of Hurricane Irene, and we took it slow as we picked our way carefully through debris on the trail and roads. We abbreviated our ride because of downed power lines and downed trees along our route. A pair of rides on August 30 for a total of 52.3 miles. Parts of the trail was still closed. Our Pizza Ride was also abbreviated because of down trees and power lines. An easy 32.3 mile ride on September 1. A pair of rides on September 2 for a total of 39.3 miles. The short ride of 3.3 miles was on my new fixie. 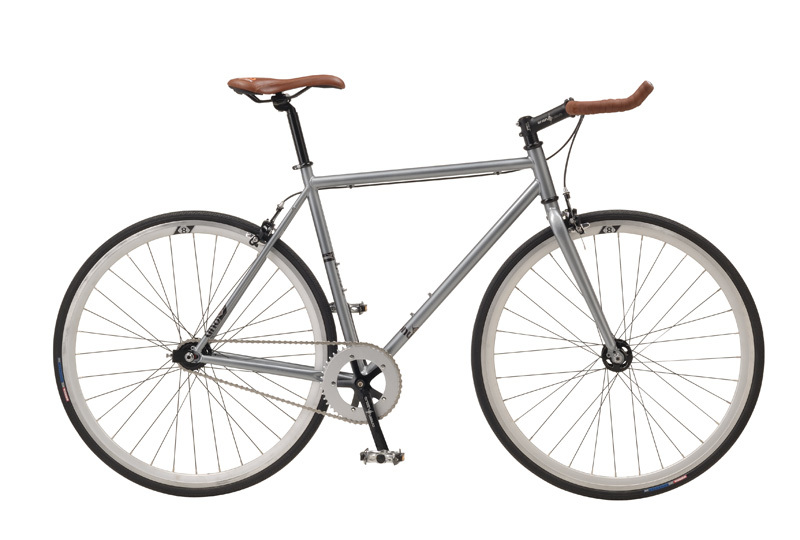 And now, a word about the fixie. I had attempted to have an old Viscount frame from the late 1970’s converted into a fixie (fixed single gear bike), but the good mechanics at Bike Doctor recommended against it, twice. I went to Penny at Light Street Bicycles in Baltimore and after looking at what she had in stock, I decided to purchase an Origin-8 Uno. It is a charcoal grey (much darker than this stock photo). My short ride reveals that it will be a learning curve for this bike. If the wheels are turning, so are the pedals. I’ll write more about it later, including the reasons I have for riding a fixie. My kids think I’m nuts. As for the aftermath of Hurricane Irene. We relied on a generator for 6 days before the power was turned back on. We are on a well, and had no water other than what we could drag into the house during those 6 days.